I got the entire mudroom primed this week! Doesn't the white make it so much lighter and bigger in there? Which is why it makes all the sense in the world that I painted it dark. Confused? Woo is as well, but he's had enough experience with my decorating to know that it will all turn out in the end. This actually isn't a very representative picture; it makes it look much darker than in real life (something about shooting straight into the windows ... ), and the truth is I'm pretty happy with it. First of all, I really love this gray (blue to everyone else in the world, including my own children -- sniff, sniff). 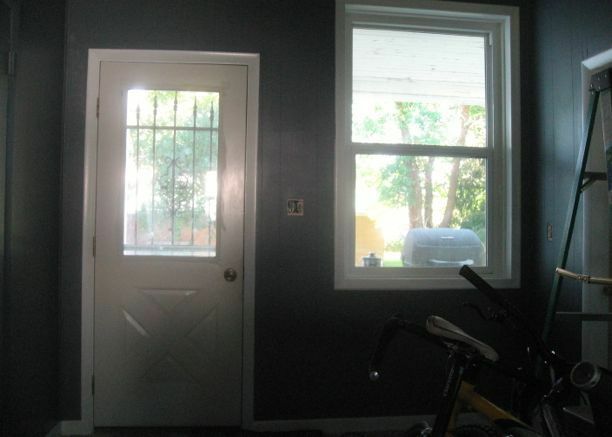 It's the same color as the dining room, and I wanted to use it somewhere else in the house. The mudroom seemed like the best place. 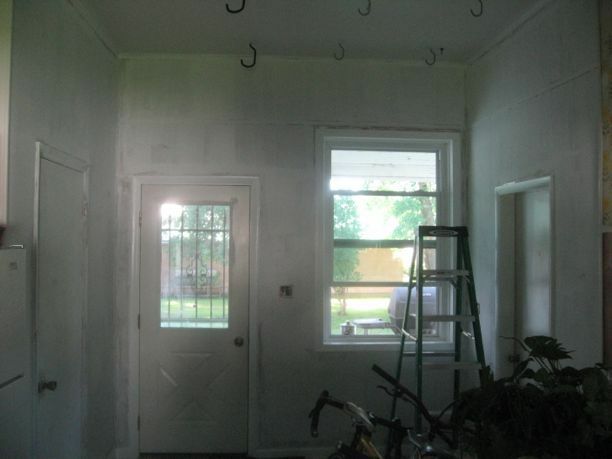 Also, the opposite side of the room (and the largest portion of it) is the kitchen. That part will all be light and bright colors, and I'm hoping the contrast will emphasize the kitchen and minimize the mudroom. I'll work on more representative pictures once I've got a second coat on and have organized and done some styling in there. It really is a beautiful color. I promise! P.S. Could I have come up with a cheesier post title? ?